Lowest Offer!!! 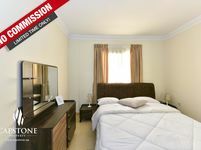 2BR with FREE ONE MONTH! Old Airport Road is one of the old areas of Doha; It is literally one of the oldest residential areas in the city. This district is situated close to what used to be the location of Doha’s old international airport, as the name suggests. Due to the slightly lower rental prices compared to the quality housing, many people prefer properties for rent in Old Airport Road. Quality housing and low rentals are only two of many reasons why many prefer to call Old Airport Road home. Let’s find out more. Old Airport Road is a very peaceful living area. It is known for some of the best apartments and villas in Doha. For apartments, you can find 1 bedroom apartments, 2 bedroom apartments, and larger. 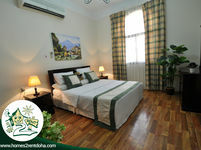 Usually, the apartments come fully furnished, which is always a good deal. Some buildings in the area offer amenities like swimming pools and gyms for the residents to make use of. The stand-alone villas are also a great option for bigger families. If you prefer privacy, more amenities, greener areas, and better security, you can go for a compound. Old Airport Road has some popular compounds like Al Fardan. What all properties for rent in Old Airport have in common are the great quality furnishings and good finishes. You could never go wrong with properties for rent in Old Airport Road. The first mall to ever be created in Qatar is located in Old Airport district. Other than the mall, the area is packed with great amenities. Some of the other popular amenities in the area include schools, restaurants and more. For education, you can find Al Jazeera Academy as well as Newton Secondary School. You can find some good nurseries for your little ones as well. The area is packed with great shopping, dining, and entertainment options. There are also a Lulu hypermarket, barber shops, and an indoor plays area. Being close to the Cornishe is always a plus. One can simply take a stroll down the road and enjoy the weather while surrounded by greenery. Some of the best landmarks in Old Airport Road include the New Museum of Islamic Art Park (MIA Park), Arabic Cultural Centre, Airport Health Centre, Delta Doha, and Al-Majaz III Buildings. To top it all, the popular Wakra beach is 10 minutes away by car. Properties for rent in Old Airport Road is perfect for families because of all the good schools and the activities for kids. Due to the lower rent rates compared to other areas, it is also perfect for young professionals. 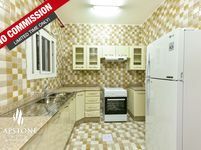 Just Property is the perfect portal to find your desired properties in Old Airport Road and across Qatar as well. The lists are organized by cities and districts to make it easy for you to look up properties in your desired area. Every listed property come with high-quality pictures and detailed description to help you make an informative decision right in the comfort of your own home. Property search definitely made easier with Just Property.